There aren't many bands that were only around for 5 years and left as big a footprint as Manchester's The Smiths. 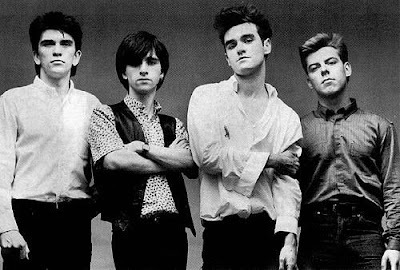 This week, we look at their career as well as that of vocalist Morrissey. So, you can say it's a two-for-one special. We play retrospective mixes for each as well as specific tracks ("Work Is A Four Letter Word" and "Everyday Is Like Sunday" respectively) by each to show different aspects of their sound and range. Sure we focused on the band and the lead singer but, for those that would like the bigger story, also look into Johnny Marr's work with The The, Electronic, The Healers, Modest Mouse and the Cribs. (Because there was no way we were going to be able to get that in this episode without going over 2 hours.) With all the countless 'best of' collections out there, you should at least have a few from the Smiths in your collection. Shouldn't you?